It’s finally here! What many safety professionals have been eagerly awaiting for years: ISO 45001. Released just a week ago, this is the first set of ISO standards that will be specifically dedicated to Occupational Health and Safety (OHS). Just as ISO 9001 provides a consistent standard for quality management systems, ISO 45001 offers a consistent framework for how any organization can implement an effective safety management system regardless of its size, industry, or location on the globe. Indeed, it has the potential to be a game-changer in safety across the globe for years to come. Focuses much more on identifying and managing risks, as opposed to hazards. The last point above is one of the most positive aspects of the new standard – the focus on risks rather than just hazards. It represents a shift from thinking about specific hazards to considering the overall risks of activities and processes in a more holistic sense. Rather than requiring companies to have specific components in their OHS management system or to meet minimum safety performance metrics, ISO 45001 emphasizes that you measure your organization’s risks and capacities for controlling those risks. This is a significant step in the right direction. 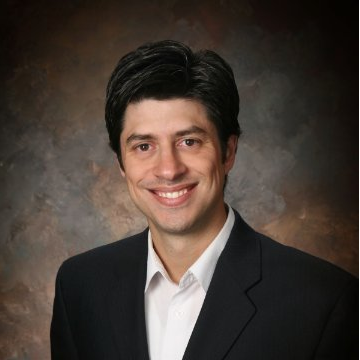 So, if 1) this new global standard challenges us to think “bigger” by focusing on risk over isolated hazards, and 2) if we can agree that there are many potential sources of risk that can put employees in harm’s way, then it is important to expand our view of potential risk factors based on the latest data and methods available. Which brings me to my main point – what about the risks that are associated with people themselves? People are the most important asset an organization has – they are the most essential factor in deciding a company’s successes or failures. But every person is different, and this is especially true for their personal safety traits. As we have seen in previous posts, research in Industrial Psychology shows that individuals vary greatly in terms of their internal safety traits, otherwise known as their SafetyDNA. These traits help keep us safe every day, despite all the hazards, obstacles, and pressures that we routinely face in the workplace. Nonetheless, some of us naturally avoid risks or take precautions that reduce our exposure, while others react to the same risks in a manner that raises our exposure to harm. That’s the result of individual differences in psychology. Any organization has potential risk associated with the behavior of its leaders and its workforce. But it's not quite so simple. A site’s risk goes far beyond the workforce alone. In fact, risk will always fluctuate depending on the situation that workers find themselves in, the nature of work being done, the risks in the work environment, and many other situational factors. So, what can be done to tackle the many risks your employees could face? There are innovative tools to proactively measure an individual’s safety traits which decode their natural disposition for safety and how it changes in different settings. This important human factor is one of the contributing factors of risk. This information can help manage and reduce our people’s behavioral risks – including our own and those of our leaders. Focus on proactively measuring and controlling risks. As stated previously, ISO 45001 focuses on identifying and managing risks proactively. One section of the document states that “it is critically important for the organization to eliminate hazards and minimize OH&S risks by taking preventive and protective measures.” It goes on to say that “an OHS management system can be more effective when taking early action to address opportunities for improvement.” The use of validated psychometric safety assessments allows a company to take proactive and early action by providing data-based measures of potential risk associated with each individual and their behavior before an incident or injury occurs. When used properly as a developmental tool to coach employees on reducing their personal exposure (not as a "blame-the-worker-tool"), it becomes a useful leading indicator of safety that is highly proactive because traits are a precursor to behaviors. This is in line with ISO 45001 principles of identifying and controlling risks ahead of time. Helping everyone “own their safety." One of the key objectives in ISO 45001 is to encourage ownership of safety across all levels and functions of the organization so that the responsibility for safety does not just reside within the OHS group. Similarly, when we measure employees' (and leaders’) safety traits, an amazing thing happens – we start looking at what we each bring to the table when it comes to safety. For the first time, employees recognize that their personalities, abilities, and attitudes may not align with how they see themselves, and they can make the connection to their behaviors with an entirely new perspective. This is especially paramount in the case of leaders, who help shape the company’s safety culture. It’s no wonder that ISO 45001 specifically states that one of the key factors of successfully implementing the standard is “top management leadership, commitment, responsibilities and accountability.” By helping senior management understand their own traits and tendencies around both safety and leadership practices, they can better adjust their style and behavior to effectively support not only the new standard, but every aspect of OHS in the company. 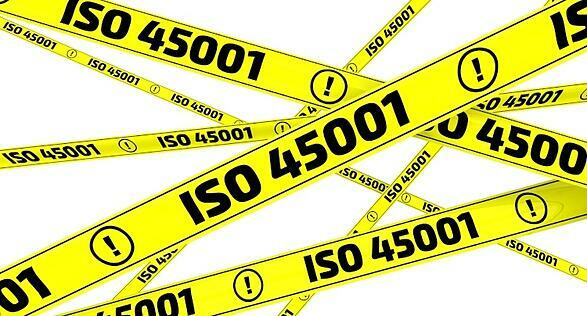 ISO 45001 is great…but it’s not enough on its own. We know that this new standard sets a higher bar for OHS worldwide. But at the end of the day, it is only the framework for a successful OHS management system. In fact, don’t take it from me – just read the document itself, where it states: “Adoption of this document, however, will not in itself guarantee prevention of work-related injury and ill health to workers, provision of safe and healthy workplaces and improved OH&S performance. The level of detail, the complexity, the extent of documented information and the resources needed to ensure the success of an organization’s OH&S management system will depend on a number of factors.” Thus, a solid OHS management system is a great starting point, but it’s just a foundation. Other factors must be accounted for, and one of them is the collective safety strengths and “blind spots” of its people. Systematically measuring psychological safety traits as well as safety leadership competencies can complement an ISO 45001 implementation by addressing an important gap: the human factor. For example, the new standard strongly encourages risk assessment – but how do we determine risk? Ultimately, a human is the one who assesses risk levels, and thus, there will always be some subjectivity and variability when we measure risk because everyone perceives risk somewhat differently based on their SafetyDNA. This is but one of many examples of how individual differences in psychology can enhance, or limit, the implementation of new safety standards and processes. Join me next week for the next part of our series on this topic, as I look at the specific psychological traits and abilities that will have the most impact on the success and sustainability of an ISO 45001 implementation.